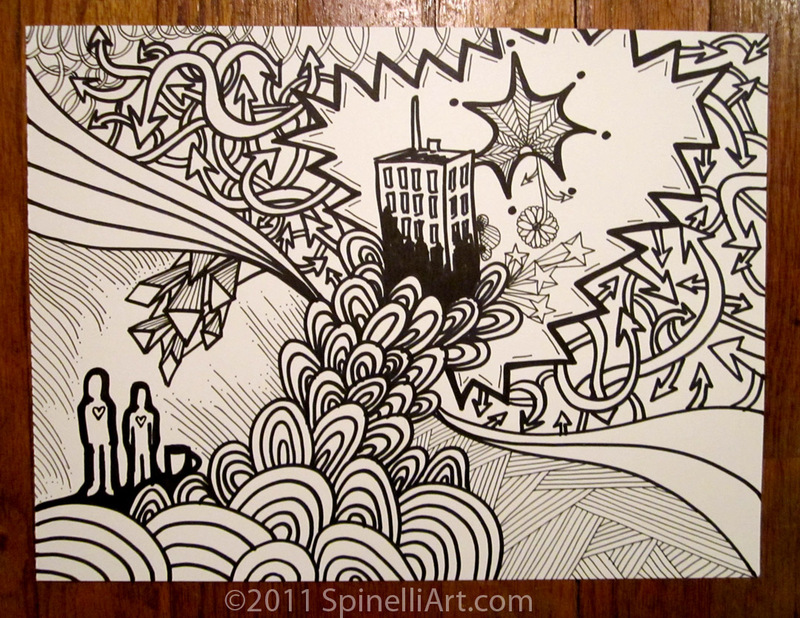 Check out this one-of-a-kind black and white ink illustration. A peacock expands from a water tower narrowly escaping the torrent. Diamond seeds seek to plant in fertile soil. 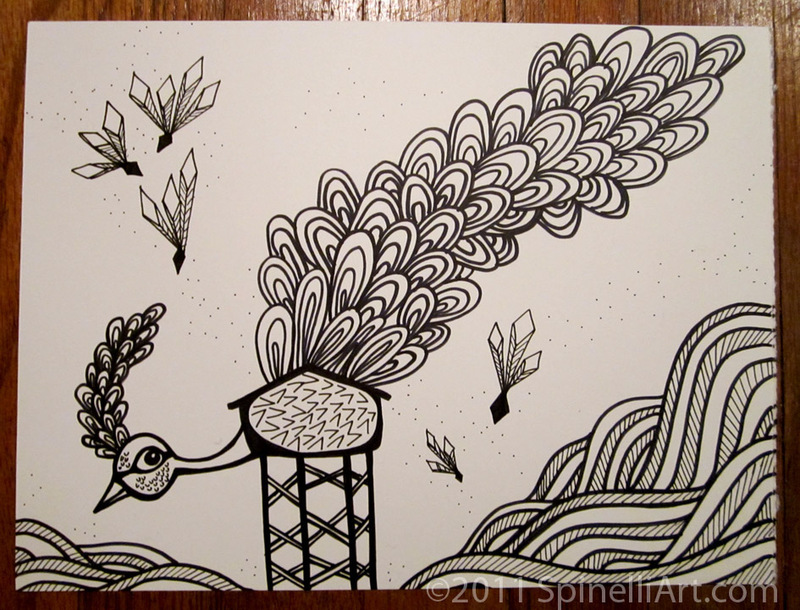 This original illustration is available at the Spinelli Shop on Etsy. In effort to expand my art and artistic ideas, I’ve been doing daily/weekly sketches. I will be posting new drawings regularly!